Since I hate wasting food, it is no wonder that many of new recipes tried in my kitchen are due to the need to use up some ingredient. Once such was fresh basil which I ended up ordering much more than I required. 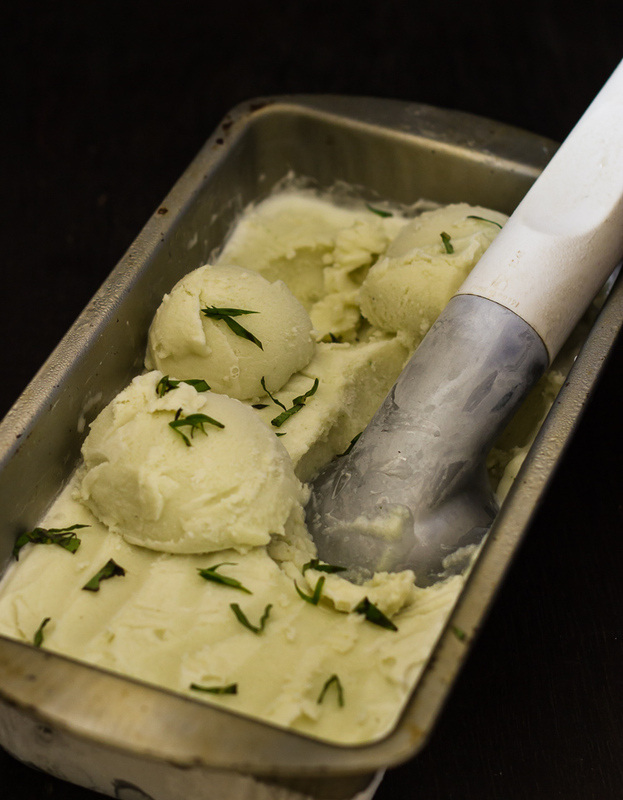 The resultant recipes include basil chocolate chunky cookies, basil focaccia, pesto, pesto pasta and this basil ice-cream. Each one a delight to make and enjoy. I have adapted the recipe of my chocolate ice-cream without an ice-cream maker with little help from Basil icecream recipe from here. The result was lick worthy and delicious. Truly basil is the best ingredient to make any simple dish exquisite. 1. Bring a large pan of salted water to a boil (the salt is added to keep the basil leaves green). Blanch the basil leaves by adding them to the boiling water and quickly drain over an ice bath (which is essentially a ice filled bowl) to stop further cooking of basil, Squeeze out any excess moisture. Purée the basil leaves in a food processor, set aside. 2. Whisk together sugar and milk for about 2-3 minutes by hand or 30 secs by hand-held mixer. Add in cream, vanilla extract and salt. Mix till combined. Stir in the basil purée. Allow the mixture to infuse for several hours or overnight. Next morning, pour this mixture into a mixer jar and churn them together for 10-15 minutes. The resulting mixture should resemble like a soft serve ice-cream. 3. 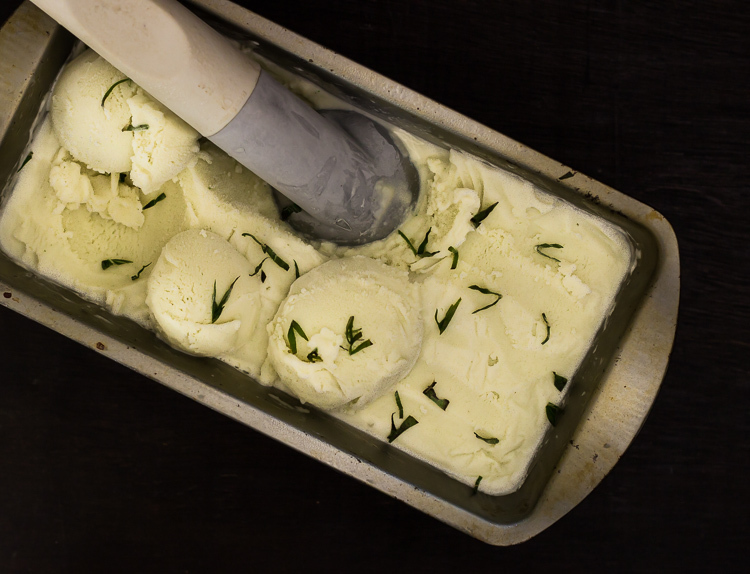 Strain the ice cream base through a fine-meshed sieve or muslin cloth to remove any larger pieces of basil leaves. Now transfer the mixture into a ice-cream container, or a pyrex dish with a lid or any air-tight container suitable for freezing. After 3-4 hours, remove from freezer and thaw for about a minute or two and then again churn the ice-cream. Pour it back into the container and freeze again. Repeat this after another 3-4 hours. You can repeat this one more time after another interval of 3-4 hours. Allow it to set completely overnight. 4. Serve chilled and enjoy. 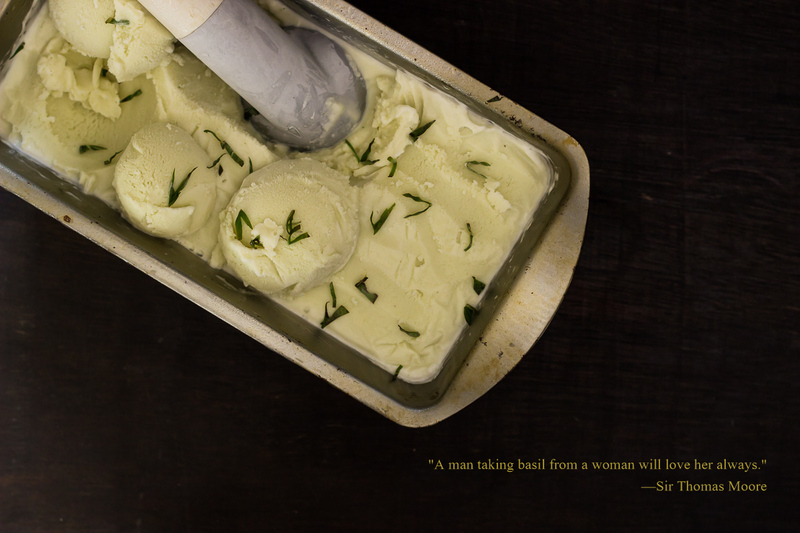 This is one of the freshest tasting ice-cream I have ever made or tasted. You can replace basil leaves with mint leaves or reduce the quantity of basil if you like the taste lesser. 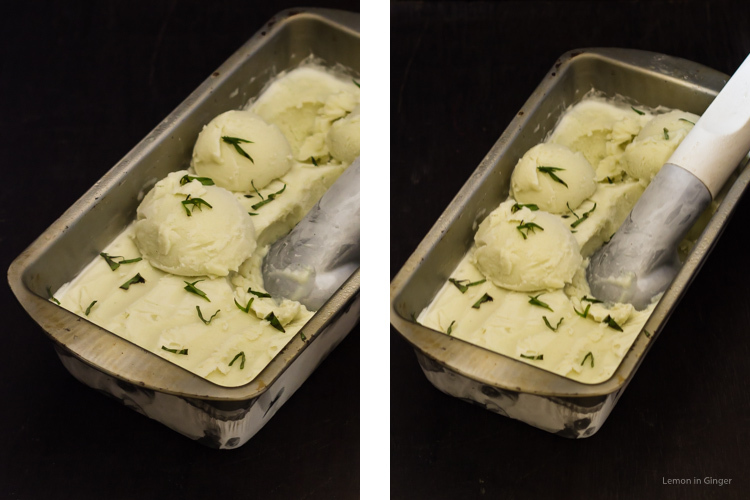 For making it in an ice-cream maker, you can follow instructions of your manufacturer after straining the basil and cream base in step 3. It is adapted from here and here.